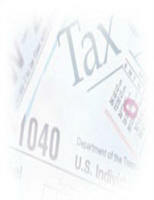 First and foremost my advise is the you immediately contact your tax advisor. I am a firm believer that no one should attend an audit without the back up of a professional, if they go at all. In most cases it can be to your benefit to have your tax person represent you at the audit. All that having been said the following points should to be addressed. Usually, you will be allowed thirty (30) days to respond to the audit notice. If you don’t respond the IRS has the right to automatically adjust your tax liability – as a rule not in your favor. Read the Audit Notice carefully. The notice will tell you which year and what items in that return are being questioned as well as what they would like you to bring to the audit. Often just one or two items are being questions and it becomes a simple matter to collect the necessary records to substantiate your return. Bring only what you need to the Audit. That is only documents that deal with the scope of the audit. If you have other documents you will run the risk of having the audit expanded to other areas of your tax return. As a rule auditors won’t go beyond what has been requested. However I have seen it happen. Review your tax return. Organize your records. Run an adding machine tap for checks and invoices. Don’t (Never, Never, Never) argue with an unreasonable auditor. Deliberately lying during an audit is a criminal offence. If you don’t know the answer to a question just say you don’t know. If you are asked a question that you do not want to deal with or can’t handle, simply end the interview at that point. Don’t give originals of documents to the IRS. The IRS has a reputation for misplacing paperwork. Bring only photocopies to an audit. Don’t volunteer any information that hasn’t been requested or the auditor may turn his attention to other aspect of your tax return. In general, it’s best to settle an assessment at the audit. You are not required to accept the auditor’s decision. If you think that the auditor’s decision is wrong you can request that the matter be sent up to the Appeals Division. If that decision is not satisfactory the next step will be tax court. Stay calm, and as distant as possible. Remember to the auditor this is just business. It’s their job, nothing personal.